Even in a tough lending market like this, there are a lot of new products coming out, or a lot of old products that some people don’t know about. We’re starting to see some rehab products. There are 203k loans; it’s an FHA product that allows you to purchase or refinance and also get money to rehab the house. There are a lot of stipulations and restrictions, but now we’re starting to see more than just the 203k. There are other rehab loans out there that have better options, which is great because there are a lot of houses out there that can use some work. We need these products so that people can buy some of these houses, and if they don’t have money in their pocket to do the work, they can get this mortgage, which includes the money to buy the house and do the work to update it. Depending on the product you end up using, the rate can be close to the same rate as a non-rehab product. It depends on the situation, but it’s nice to see these products out there. As I’ve mentioned before, there are all kinds of lenders and all kinds of products. I work with some small local lenders that do common sense lending where they keep their own loans. They’re not quite as guideline driven. Maybe someone has tons of assets and they’re buying a primary residence. They’re putting 30% down, but maybe their credit isn’t as good as it needs to be, but they have a job and they have a good reason for it. Those are the type of loans small lenders like. Another option is USDA loans. The USDA loan is one of the few 100% financing options out there; it’s based on location so you can only get a USDA loan in parts of New Jersey. It’s also based on income, so you can’t make too much, but it’s 100% financing, just like VA loans. VA loans are out there for veterans. It’s 100% financing, and it’s one of the best products out there for those veterans that still have their benefits available. We’re seeing lots of creative new products coming out. It’s slow, because they’re taking things slowly, unlike the sub-prime days where they created outlandish products with 100% financing plus 10% on top for home equity loans, or the no document loans for anyone and everyone. Those aren’t going to come back, but we are going to start seeing more creative products. Maybe some asset-based loans where someone has $600 to $700,000 or more in assets, but can’t show much income, and they can pledge assets against the loan. You won’t likely find a lot of these new programs at your local bank. You’ll usually find them at the small local lenders, which I have access to. As an advisor, I’m always keeping up to date on what programs are coming out, and what my lenders are doing. I get emails daily that I’m sifting through to make sure I don’t miss anything. It’s really helpful when you meet someone who has this specific strange situation and they’re having a difficult time, but they want to get into a house. They’re deserving, but they have a tough situation. There are open programs out there for them. Let me help you find the RIGHT loan program for your needs – call or email me today! I’ve touched on a lot of these issues in past blog posts, but let’s just go through them all—home inspections, appraisals, mortgage process—in one place. Home inspection is a big one; buyers and sellers are fighting over what gets fixed and what doesn’t. It’s not that home inspections are new, or that they’re done differently, it just seems the mindset of both the buyers and sellers are different. The buyers think they deserve to have the perfect house and the sellers have the mindset that you get what you see. In the past, the mindset was also that we’d do a home inspection, and if there’s a major issue, we’ll discuss; otherwise, we’re fine, let’s just move on. Most people these days, even though they’re buying a used house, don’t want to fix it up, or to work on it. When we bought 20 years ago, we expected to fix or change things to the way we wanted them. Buyers today seem to want something that is perfect to begin with, and that’s probably part of the problem. Appraisals are also a big issue. We’re in a rising value market, so housing prices are going up. We’ve seen bidding wars on houses because of lack of inventory, but we’re still using appraisals from the last three to six months when the value was a little lower. As a result, we’re seeing some issues with appraisals not matching up to the purchase price. In the past, there were instances when someone who wanted to buy a house could do so with virtually no documentation. It was easy. We were doing no document loans just because it could get done quicker. People didn’t want to deal with the paperwork, so we were just basically filling out a form and they were getting loans. No wonder we are where we are. It makes sense. Now we’ve gone to the opposite extreme and they want to see everything. I always joke around at the end that the only thing left is a pint of blood. The funny thing is that this market, in pockets of New Jersey at least, has turned into a seller’s market very quickly, from a buyer’s market to a seller’s market in the last six months. It does depend on where you are, but in Northern New Jersey, it really is a seller’s market, and the problem is lack of inventory. There are buyers out there, but not enough sellers. The ones that are out there are seeing bidding wars, and the houses are selling quickly all of a sudden. Of course, it depends on where you live. There are still areas in the country that are struggling, and sales are low. It really depends on where in the country you are. Markets can change quickly, but issues with home inspections, appraisals, and the mortgage process itself are almost always present. Having a mortgage advisor that can guide you through this process, no matter what the issue, becomes even more crucial in an ever-changing market. I’d love to help YOU through the process – call or email me today! Mortgage News: Are you really pre-approved to buy a house? The pre-approval is a big issue. First of all, you really need it in order to put an offer on the house, and the realtors really like to see it. You can get pre-approved online by filling out some forms and submitting them. The problem is that you’re just filling in a form and there might be other factors that will influence your approval that a form simply can’t ask you about, such as do you pay child support or alimony, or something like that. You might get a pre-approval, use it to make an offer, and then find out afterwards that you can’t really be approved for the house. You’ve wasted a lot of your time, other people’s time, your money, and now a process that seemed so easy becomes quite frustrating. The right way to be pre-approved is to call a mortgage advisor. Spend some time either on the phone or in-person. Let them ask the questions, run your credit, and if it’s not cut-and-dry, provide them with tax returns and pay stubs. A lot of times, prospective buyers don’t know what’s important. These days, we want to know what you’re writing off on your tax returns. When you’re filling something out online, they don’t ask you that, and you don’t think to offer that up. Most people wouldn’t even think to mention child support, or an alimony payment. It’s not a matter of hiding; it’s a matter of knowing. Ask the right questions, and get asked the right questions. For instance, it’s important to know where the down payment comes from. If it’s all gift funds that could affect the program you’re in, then that could also affect whether you can really be pre-approved. The fees on some of the programs are higher, so you might not be approved for as much. The online form just asks how much you have for a down payment, not where it’s coming from. And sometimes where the down payment is coming from might not be a legitimate source. If you’re getting a loan from Joe down the street, that’s not a legitimate source for a down payment. Perhaps you have a stack of cash hidden in your mattress. The money is real, but this is not a legitimate source for a down payment either. There is just no way you can just take that money and use it as a down payment. So, asking where the down payment is coming from is just as important as knowing you have the money for a down payment, something the online process does not account for. Another important differentiation the online process doesn’t account for is how your income is comprised. When asked how much you make, you might simply enter $60,000. Well that could have been $40,000 in base pay plus $20,000 in overtime. If you didn’t have overtime the year before, the lender will look at the past two years and take the average. If you have overtime, then your salary isn’t really $60,000, it could be figured at $40 or $50,000. Or, they may not accept overtime at all if it was only a one-time thing. The same thing happens with a bonus. If you only got a bonus one year and not the other, or if it’s not a guaranteed bonus, you might not be able to use that bonus as part of your income. The hardest income to verify is when you’re self-employed. In that case, you’ll really need to meet with a mortgage advisor in order to review your tax returns to see what you’re really making, what you’re writing off, what you show you’re making, and not what you actually might be putting in your pocket every week. Those are the types of questions that really need to be asked and vetted out when being pre-approved. To avoid getting a pre-approval that’s not really a pre-approval, meet with a mortgage adviser that is trusted, or that has been referred to you. You’ve just got to do your due diligence. In the end, it makes the whole transaction easier and it doesn’t waste anyone’s time. Whether you like the answers and the numbers or not, this process is backed by solid data and solid information, giving you a solid pre-approval. Call or email today if you’d like to get pre-approved for a mortgage! I guess just like in any business, you see a little bit of everything in the mortgage industry. I had a case recently where we had been working on a closing for about a month and half, and were a week away from closing when the seller passed away. Now it has to go into the estate and I’m sure there are all kinds of probate issues and things the estate has to deal with and document. It took another year before we closed that one. Luckily, the buyer waited it out; he wanted the house, was in no rush, and understood the situation. The seller’s family was onboard and friendly, also understood the situation, and did everything they could to move things along. It was a long year! Of course, we had to start all over by submitting a new loan, new appraisal, new everything. In the end, though, it all worked out. I’ve seen people lose their jobs two or three days before closing and watched the deal fall apart right away, and that’s no fun. In that situation, it typically falls apart from both the lender and buyer’s side. At that point, the lender denies the loan because the client is no longer working (they will do a last minute employment verification) and can’t qualify. In all fairness, as the buyer, this is probably what you want to happen. You don’t know how long you’ll be without a job and won’t likely want to take on this huge debt, so you’ll want to back out of the deal anyway. It’s very scary to take on a mortgage payment, even scarier to take one on without a job. I had another case recently where my clients were under contract to buy a house. The seller, well, the husband, went to work one day and gave notice to his job that he was retiring because he and his wife had just put their house under contract and were going to move to Delaware. He got home from work that same day to find a note on the counter from his wife. It said, “I’m leaving you. I took the dog. Don’t come find me.” The husband had just given notice at his job, had the house under contract, and his wife through him a curve ball. He decided to back out of the contract. Technically, my buyer could have sued him or gone after him and pushed the issue. I think they just felt bad and decided, “This is bad karma. We’re going to walk away. We feel bad for the guy.” I get it—it’s not a fight you really want to fight. But it was very interesting. I had never had a purchase fall apart for that reason. Just last week I had a new one. My client had been looking for a condo and had been looking at a lot of them. He found one he really liked and agreed on the price. After agreeing on the price, he found out that the condo does not allow grills and he grills five nights per week. He said, “I cannot live in a home that does not allow me to have a grill.” I can’t argue with the rules, so he had to back out of the deal and I don’t blame him. Strange, yes, but true. One time I had a deal where my client committed fraud by submitting fraudulent documents. I had no idea. The documents looked as real as can be. We went through the whole process, got to the closing table, and there was no money there. I don’t know what they thought they were getting away with, but it was a very interesting case and I had no idea what was going on. I couldn’t believe it. I really liked them and was excited for them. They were a young couple buying a house, so I thought. I guess they wanted the house and decided to do anything to get the house. People get attached to houses. I always tell people, remember, it’s a place to live. I know you’re excited to have a house, but you can’t get too attached to it. We caught them in the end, but it was difficult. You definitely see some weird things in this business. I’m here to help you through the process no matter how weird it gets! Call or email me today to get started. Mortgage News: I’m buying a home, when should I start the mortgage process? Many prospective homebuyers wonder when the best time is to meet with a mortgage adviser. My advice: meet early in the process! If you’ve started looking at homes, you should have already met with a mortgage advisor. If you’re thinking of buying a home within the next year, schedule an appointment with a mortgage advisor. No, it’s not too early. There are a lot of issues that can be avoided if you meet early in the home buying process. Obviously, the whole thing of making sure you can qualify for the mortgage, that you’re buying in a price range that is comfortable for you and not stretching yourself, are often the primary issues that need to be resolved. Beyond that, though, most people just don’t know what they are going to find on their credit reports. Sometimes the worst of them are medical collections that people are completely unaware are out there. You go to a doctor, the doctor sends a bill that maybe gets sent to the wrong address or is just missed in the mail pile and you don’t pay it. Doctors don’t waste time; if a bill goes unpaid, they send it to a collection agency, and it shows up on your credit report. Sometimes, there are simply mistakes that are on your credit, or late payments that you didn’t realize were reported. If we meet early in the process, we can identify those things and fix them to get your credit scores higher. Increasing your credit score will give you better rates when the time comes, saving you money. There are also circumstances that are completely acceptable, but that must be handled in a particular way in order to qualify for a mortgage. For instance, one client lives with her boyfriend and the boyfriend deposits his check, then takes the cash out of the ATM to give her to deposit into her account to pay the bills. This situation is perfectly legitimate, but to qualify for a mortgage the banks will want to know where the money is coming from, and it’s hard to trace cash deposits. If I learn about this early in the process, I can explain how to handle this scenario so it is acceptable to the bank, giving us one less hurdle to overcome when it comes time to qualify. In this case, the boyfriend should write her a check and she should deposit the check, or he should deposit his check right into her account, giving a clear trail of where the money is coming from. Another issue that commonly comes up is gift money. Frequently, buyers have family members who are gifting them a portion of the down payment. It is allowed, but there is an acceptable process for showing the gift and tracking it. In order to get an approval, it is important to follow this process. Also, it can affect what mortgage program we use, so again, that’s why it’s important to meet early. We can talk about the gift before it happens and plan it out to avoid hurdles during the approval process. A friend offered this analogy: when you meet people early in the process it’s like they’re wearing jeans and a t-shirt, and they’re about to go into a job interview. Before doing so, they meet with you and you make them wear a nice suit and tie, or a dress, and prepare them for any curve balls. You get them ready to walk in and nail the interview. That’s exactly it. I can tidy up the package and put it in a position to get the best product, the best rates, while making the process smoother and less stressful. Let’s get started – call or email me today! Mortgage News: Why use a mortgage broker rather than a bank? As I mentioned, I can shop up to 30 different banks with 30 sets of rates. Some of my banks prefer 15-year mortgages and give better rates on those; some of them like FHA mortgages and give better rates on those. Some prefer bad credit loans, so if your credit isn’t great, you’ll get a better rate with that bank over your local bank. A primary reason to use a broker rather than a banker is the broker gets better rates. Let me put it this way. When you go to the bank, the person you’re assigned to work with is getting a salary, insurance and benefits. The bank pays them to sit at the desk. The bank doesn’t pay me, but they offer me good deals, good rates, to bring them loans, and then I get a commission from the bank. If I bring them a loan, I get a commission; if I don’t bring them a loan, I don’t get a commission. I cost them nothing so it benefits them to give and offer me better rates. The other thing about going to a bank over a broker is the person who is working for you at the bank is a 9 to 5 employee who sits behind a desk, without any stake or sense of urgency in closing your loan. They’re getting paid the same thing regardless of whether or not they close a loan. If you need them on nights or weekends, they’re not available. When you’re at work, you’re not thinking of your mortgage. When you get home, you think about it; you might read an email requesting some paperwork and wonder, why do they need that? Or you realize the appraisal came in low and wonder, what do we do? These are the things that can keep you up at night. With a banker, you’ll have a sleepless night because you’ll have to wait for the next business day to find out. With a broker, you can get your sleep because you can usually get answers right away. When you work with me, you get my cell phone number. You can call or text me in the evening, on the weekends, or anytime you have a question. I also answer emails. You can call me after work, and I often make appointments to meet my clients in the evening at their homes. Whenever, or wherever, is convenient for you. I don’t just work banker’s hours; I’m available when you need me. Call or email me today to get started on your mortgage! An appraisal is the valuation of property as determined by an appraiser. The appraiser goes out to the house, evaluates its features and size, takes pictures, and then compares it to other similar homes in the area that have sold over the past six months. They compare the number of bedrooms, the size, and the style, to other homes within the same town, preferably within one to two miles. The appraisers use an objective system to determine the value of the home. 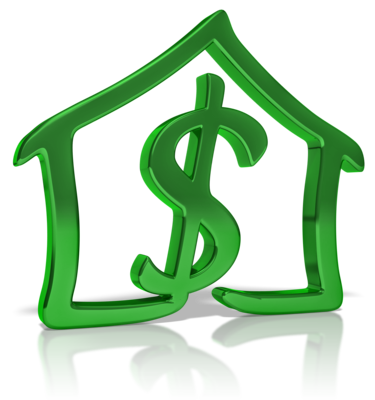 This value often differs from what the seller and buyer have come up with, which is a sales price based on negotiation. Sometimes, the appraiser comes back and says, “Well, compared to other houses sold in the area, this is not worth what the purchase price on the contract says.” This can become problematic when the lender does not want to give a mortgage on a home that is overvalued. From the lender’s perspective, they don’t want to take a chance because if they’re overpaying, and the borrower defaults on the mortgage, the lender is stuck with a house that isn’t worth as much as the mortgage. I’ve had this happen. We were halfway through the mortgage process and the appraiser came back and said, “This house is worth $50,000 less than you’re buying it for.” At that point, the buyer has several options, and I’ll focus on those options since my client is the buyer. The first option is to renegotiate the price with the seller. You don’t want to buy a house that the minute you walk in the door, the value has dropped X amount. Of course, the sellers will say that we agreed on the previous price, and won’t want to lower the price, so it could be a battle. Sometimes it works, sometimes it doesn’t. Option two is you can buy the house. In the eyes of the lender, the purchase price is now what the appraised value is, so if you’re putting 20% down, you’re putting 20% down on the appraised value, You’re still buying the house for the original contract price, so you have to then come up with the difference between the appraised value and the contract price out-of-pocket, so you’re bringing more money to closing. The lender normally has no problem with this option. Option number three is that you can walk away from the deal. This happens when the seller won’t renegotiate the price and you aren’t willing to come up in price. You don’t want to overpay for the house, so you don’t complete the purchase. What I usually see happen is that the buyer and seller meet somewhere in the middle. I tell my clients, “Look, before the appraisal you were happy with the purchase price. This is a good chance for you to renegotiate the price and it may be a meet in the middle somewhere price.” It doesn’t always work this way because sometimes the buyers don’t have enough money for a down payment. If they’re only putting 5% down, they won’t have the extra money. But I always tell them to try to meet somewhere in the middle; maybe you’re overpaying based on the appraisal, but you were happy with the price a week ago. So, we meet in the middle. The sellers probably aren’t happy, but they want to sell. The buyers are getting a better deal than what they’d originally worked out, so they’re good to go. One of the things I almost forgot to mention is that appraisals can be challenged. It’s a very difficult process, because the way the challenge works is that you have to find mistakes in the appraisal or you need to find comparables that are better than the ones used. Once you submit the challenge, it goes back to the same appraiser. This makes it especially difficult because you’re asking the appraiser to acknowledge they missed something or made a mistake. Who wants to say that? It’s rare that I see a challenge work. Recently, I had an appraiser who had the square footage wrong in the appraisal. It wasn’t the house; he made a mistake, acknowledge it, and made the adjustment. As your trusted mortgage advisor, I will help you with any appraisal issues that arise during your home-buying process. Call or email me today if you have any questions.